The Oscars are here and Movie Fanatic has seen all the films and Oscar Watch is ready to premiere our annual predictions! From the major awards to the smaller, lesser known categories, we have gone over the nominees with a fine tooth comb and predicted what we believe will happen when the cameras start rolling on host Billy Crystal and the 84th Annual Academy Awards on February 26. Why: It’s the favorite for a reason. The film is a love letter to Hollywood and the Academy adores that. There is no other film, other than Hugo, that can come close in that arena. Therefore, give it to The Artist. Why: He won the award at the Cannes Film Festival and that momentum has not stopped, albeit for all that George Clooney will win buzz. The French actor carries the film without saying a word, and that is saying something about the power of his acting chops. Why: Although people would love to see Streep get her first award in 29 years, this is Davis and The Help’s year for acting. She gives a riveting performance in a powerful film. Where Streep’s performance was the only good thing about The Iron Lady. Why: The legend has never won one, and the fact that he turned in the best performance of his career doesn’t hurt things either. 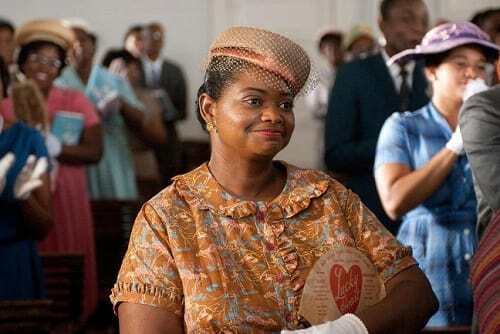 Why: Spencer stole every scene she was in throughout The Help, even from our predicted winner Davis. This category is already pre-ordained. Why: Many times the Best Director and Best Picture share the same film. At this year’s Oscars, that will certainly be the case. It’s hard to imagine The Artist being such a fantastic film without the even-handed direction of Hazanavicius. Why: Taking a beloved book and bringing it to the screen can be a thankless task. But Alexander Payne and his writing team did a stellar job of crafting their script for The Descendants. It captured everything the book had within its pages and, if possible, even more. Why: Woody Allen wrote his best script in decades and achieved his highest box-office earner in his storied career. Look for the filmmaker to take this title -- the question is whether he will be there as he often skips the Academy Awards. Why: The Iranian film has been sweeping this category all year and Oscar night will be no different. Also, given the simmering political situation between Iran and the West, look for the Academy to extend an olive branch in the form of a golden trophy. Why: In a stellar year for documentaries, this one is hard to pick. Undefeated is about as powerful as a doc can be in its telling of the story of the Memphis high school football team’s true life triumphs. But, in this year of the “Memphis Three” finding justice, look for Paradise Lost 3: Purgatory to take the victory as Hollywood bigwigs circle the story to bring it to life in a narrative motion picture. Why: The Best Picture of the year was also the best edited. 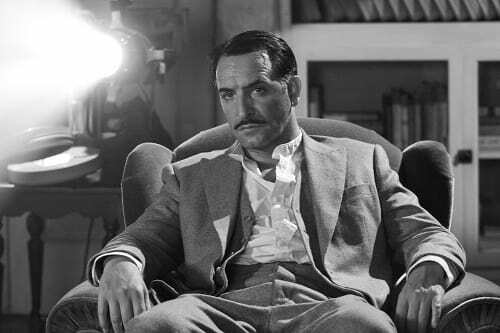 Bringing a silent movie to life is difficult enough, and with the stellar job the editors of The Artist achieved, it is part of the reason why the film is so well received. Why: A powerful piece of work that is, in our opinion, going to upset the favorite, Saving Face. Why: Not only is it the Best Animated film, Rango is one of the best films of 2011. Why: The Academy may be tempted to award The Tree of Life for its sweeping epic feel, but it’s hard to argue with the cinematography achieved by Martin Scorsese’s team with Hugo. A train station has never appeared so beautiful. Why: For the same reasons it will win cinematography: It is simply gorgeous. Why: Normally this category goes to a period piece drama, and those are well represented this year. But, The Artist created the class and suaveness of 1920's Hollywood and for that… it will win. Why: This three-film category is a tough one to call. Each has its merits beyond compare. In the end, look for the makeup-aided physical transformation of Margaret Thatcher in The Iron Lady to score an Oscar. Why: With as many nominations as The Artist has, it is awards such as this category that will push its victory total ever higher. The film relied solely on its score as there is no dialogue. No easy task for its composer and because of that fact, they will hoist the Oscar February 26 at the Kodak Theatre. Why: Hard to beat a legend that is Sergio Mendes, but former Flight of the Conchords member Bret McKenzie (check out our exclusive interview) will win on this night. 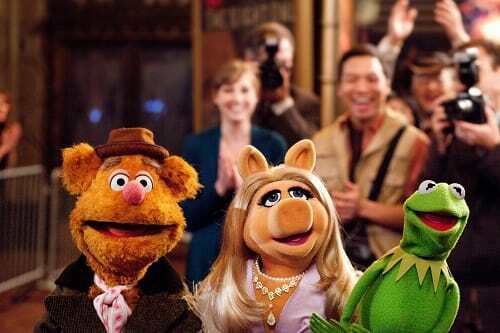 His Man or Muppet not only is a stellar song, but also serves as the pivot point for the entire film. Why: As a former Pixar worker, filmmaker William Joyce and Brandon Oldenburg have created a gem and you know the Academy adores Pixar. Why: International adoption is more prevalent than ever, and as the subject matter of Raju, it could not be more timely. Why: Powerful and sweeping sounds, both real and fantastical, inhabit Scorsese’s Hugo. Therefore, count this one for the story of the orphan living in a Paris train station. Why: Same reasons as above. Why: The Academy has not given Harry Potter and the Deathly Hallows Part 2 much love, even though Warner Bros. pushed hard for the film to be considered for Best Picture. This will be the Academy’s way of awarding a stellar series.